If one thing is clear, is that Kingdom Hearts III is one of the most eagerly anticipated games of the decade. If only because fans have been waiting so long for a new entry in the franchise – the last Kingdom Hearts game came out in 2005, after all. And give that game director Tetsuya Nomura has promised the new game will take full advantage of current-gen consoles to deliver spectacular visuals and gameplay, plus the fact that the game will be voiced by a stellar cast of A-list actors, it’s clear why many people can’t wait to get their hands on this game. Some already have though – early copies of the game have been doing the rounds on the Facebook Marketplace, as seen in the tweet below (via Eurogamer). 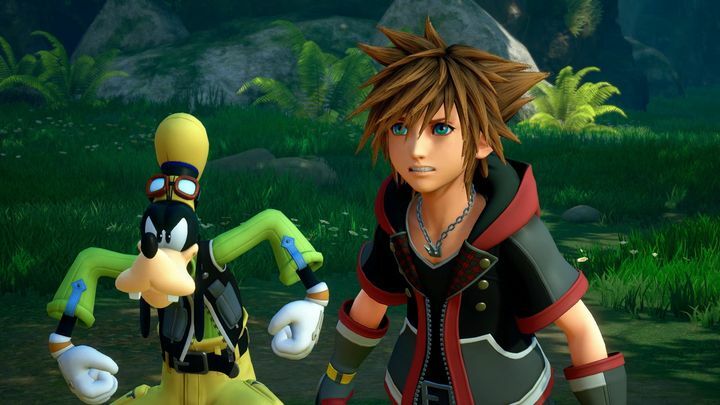 Worse still, portions of the game have leaked online, with players posting screenshots and videos of the latest Kingdom Hearts game on places such as YouTube. In response to this, the game’s director Tetsuya Nomura posted a message on Twitter urging people not to spoil the game for others before its release date on January 25. “We’re aware that a small portion of Kingdom Hearts 3 has been circulating online before its official release. We are also aware as to how this has all happened. We’re sorry to see this caused concern amongst our fans who are excited for the release”, wrote Nomura. “The whole team has been working together since yesterday night (Japan time) to investigate what we can do to better this situation, but first we would like to ask that you do not share these videos”, added Nomura. Given that the game’s release is still weeks away, it’s hard not to think that anyone even remotely interested in the game will catch a glimpse of it before release. This is a sad state of affairs, but given that this is one of the earliest leaks of a video game so far, the risk of this spoiling the game for some is very real. Thankfully, some parts of the game are not on the disc as Nomura pointed out in his tweet – namely the epilogue and secret movie, so there’s no chance of those finding their way to YouTube yet. Either way, here’s hoping that Kingdom Hearts III turns out to be another great entry in the series when it launches next year.